Mt. Stonegate Green Asset Management Ltd.
Taiwan has many steep river slopes, and abundant rainfall and water resources. And yet the country depends on imports for near 98 percent of its energy consumption, and almost all of that is fossil fuels from turbulent areas such as the Middle East. This creates not only strategic vulnerability, but also imposes economic risks. The development of renewable energy generation, such as the Mingjian hydroelectric power plant, has contributed to increasing the share of renewable energy in the grid and supporting education and tourism in the region. Mingjian hydro plant is located in the heart of Taiwan, in the mountainous forest of Nantou County. The plant utilizes water flow from the North part of Chushui River through the Chichi Weir. 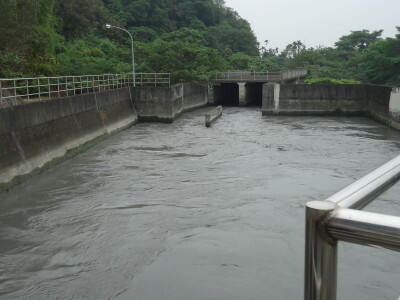 The stream also provides farmers at downstream areas (Changhua, Yunlin and Chiayi) with water for irrigation. Mingjian Township produces pineapples and tea. Much of Taiwan’s famous pineapple cake is made using the region’s pineapples. The plant has also supported education and rural tourism initiatives in the region. Taiwan is an island nation of about 23.3 million people, located 120 km off the southeastern coast of mainland China. 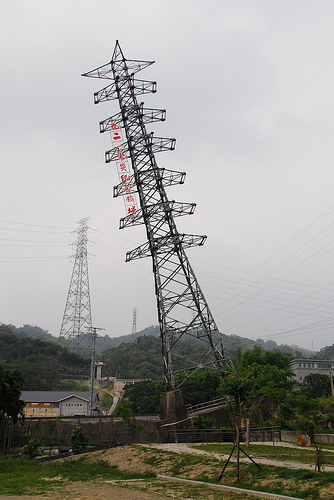 In the mid-twentieth century, hydropower was already Taiwan’s main source of power generation. However, with the economic take-off, and the accompanying surge in demand for electricity, Taiwan had to rely on oil and coal imports to satisfy the majority of its energy demand. Hydroelectric power currently accounts for only about 13% of the country’s total power generation, while nuclear power generation and fossil fuel based power accounts for 17% and 70%, respectively. Mingjian hydroplant generates clean electricity equivalent to the annual consumption of 20,313 households, contributing to the efforts of decreasing Taiwan’s dependency towards fossil fuel import. The overwhelming reliance on fossil fuels in Taiwan also incurs the problem of generating significant GreenHouse Gas emissions. 49% of Taiwan’s electricity is generated by coal, and coal fired thermal power plants are the island’s main greenhouse gas emitter. By utilizing clean energy for production of electricity, Mingjian contributes towards climate change mitigation equivalent to 56,164 tonnes of CO2, as verified by Bureau Veritas, a French accredited certification body, under ISO 14064-2 in 2011. The project has become part of 921 Earthquake Commemoration tourist attractions in the region. 2,416 lives were lost in the 7.3 magnitude quake that occurred on 21st September 1999 in Nantou county. The “Tilting Electric Tower” leaning at an angle of 16.5 degrees at the center of the park is a fitting memorial to the earthquake and demonstrates the extend of the damage. The local engineering authority has certified that this tower is safe to leave it as it is and now serves as a place for education and further scientific research on faults. Other facilities such as site introduction, scenic spots, nature observatory, and recreational activities have been setup at the project site for visitors.